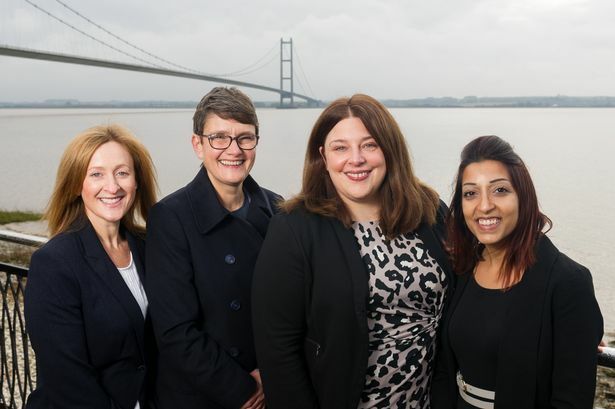 A new recruitment and consultancy firm covering both banks of the Humber is the region’s first to be dedicated solely to hiring top HR talent. Humber HR is the brainchild of Hull-based recruitment expert Kate van der Sluis, who has argued ‘old school’ agencies are now out-of-date. She said she hoped the new firm will tackle an alarming figure which showed the Humber region is the 11th worst in the country for productivity. Ms van der Sluis said: “We aim to help solve this dire situation. HR is fundamentally linked to productivity. If your people are happy your bottom line will go up. “Humber HR People is the Humber’s only specialist HR recruitment firm dedicated to recruiting exclusively within the profession. “We are based in Hull city centre and work with organisations on both the North and South bank of the Humber, particularly within technology, engineering and manufacturing. “Often these businesses have ground breaking expertise in their fields but need support with people as they grow – which is where we come in, from one-off projects, a few days a month or a few days a week. The firm’s model will combine the recruitment of HR people to companies across the region, with offering specialist HR services to those in need of help. Kate is joined by Kellie Calvert, associate director of HR, Alice Ackroyd, associate director of leadership development and Sharleen Lawless, associate director of Talent. Proud to be female leaders, they have 80 years of combined experience. “It has been a privilege to work in the Humber region for the last 10 years, a place I’m proud to call home,” Ms van der Sluis said. “I've seen first-hand that the expertise it takes to develop people isn't always accessible and often ends up taking a back seat. The idea for Humber HR People came from more than 18 years of interviewing disgruntled employees and understanding why they leave. The new company has been welcomed by other local businesses. Antonio Tombanane, operations director at Hull-based GB Recruitment, said: "To have a team of experts in HR in different business sectors is rare, if not impossible, to find. “We're thrilled with the launch of Humber HR People. We know them all individually and their work ethic and professionalism is second to none. “It's just the type of agency we, in the Humber, need."